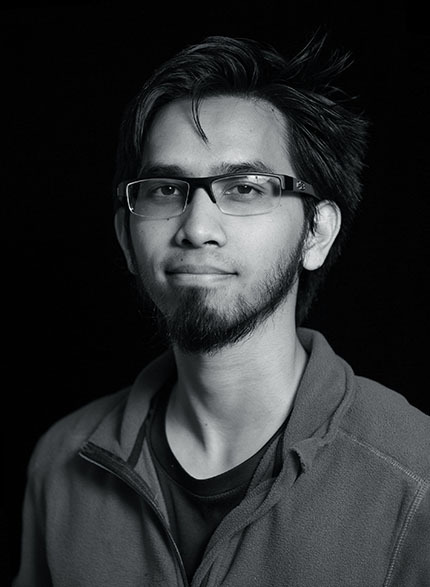 Fadhil is a PhD researcher at CONNECT in Trinity College Dublin. He is working on millimeter-wave cellular networks under the supervision of Dr Nicola Marchetti. “I was born in Brazil. My father is Indonesian and worked in the Indonesian International Ministry in Jakarta. When the Indonesian government was building a new embassy in Brazil they moved some staff, and my father went. Though I was born in Brazil, because my father was on a diplomatic mission, I wasn’t allowed to be a Brazilian citizen. I was born there, went to primary school, high school, university, and got a Master’s Degree there but I am not Brazilian! I used all the Brazilian services: public school, public university but no, I am Indonesian. It’s funny, when I hang out with Brazilians I am the Indonesian. When I hang out with Indonesians, I am the Brazilian. It’s like a dual identity. It was frustrating but sort of cool. At some points in my life I was bored with it but I sort of embraced it. It’s nice that, here in Ireland, everyone is sort of foreign. After I finished my Master’s I went to work at the Nokia Institute of Technology in Brasilia. When Microsoft bought Nokia my boss told me I should look for a new job as it wasn’t looking good. At the time Brazil was becoming a difficult place to live. Everything became expensive, there was a financial crisis and politics was a mess. But in the same week Nicola Marchetti opened a position for a PhD researcher in CONNECT so it was perfect timing!